Literally 2 traffic signals from Disney. 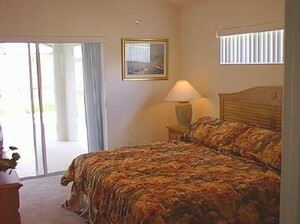 Bedding arrangements are king in master suite and two single beds in each of bedrooms two and three. Bedroom three is Disney themed. All equipment supplied including linens and towels. Private pool and separate Hot tub. 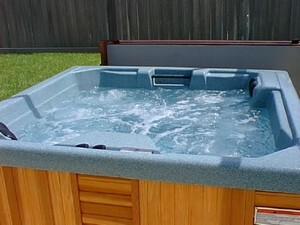 Hot Tub is always heated free of charge to 104 degrees. 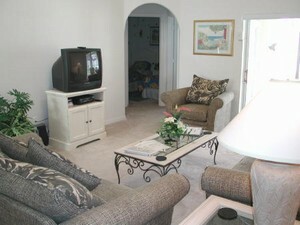 TV's in Family Room and master suite. No smoking in house but smoking OK on covered pool deck/lanai. 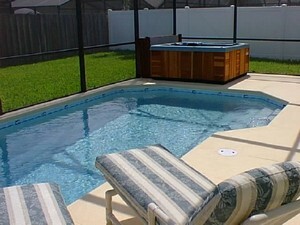 Pool heating optional at $130 per week. Heater is gas and effective even in winter months. Disney is 5 minutes and Universal/Sea World 15 minutes. Price is from $99 per night. Precise rate depends on time of year and duration of stay. Rate is for the Whole House. Please e mail for availability and firm price. 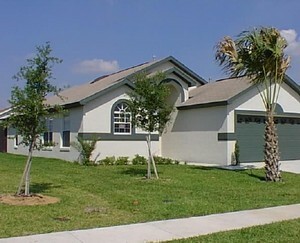 20% due on reservation with balance payable 6 weeks prior to arrival. No cleaning fee for stays of 5 nights or more. Cleaning fee of $70 for stays of less than 5 nights. Deposit: Security deposit of $140. Cancellations and Refunds: Reservation deposit is non refundable. Required Stay: Any arrival/departure day Ok.